So this month, the box theme was Mermaid vs Unicorn and Glossybox definitely nailed this! I believe there were two different boxes you could receive - one with the Mermaid packaging and one with the Unicorn packaging, which is the box that I received. I'm unsure as to whether the contents were the same in both boxes, so if you received the Mermaid box, let me know! 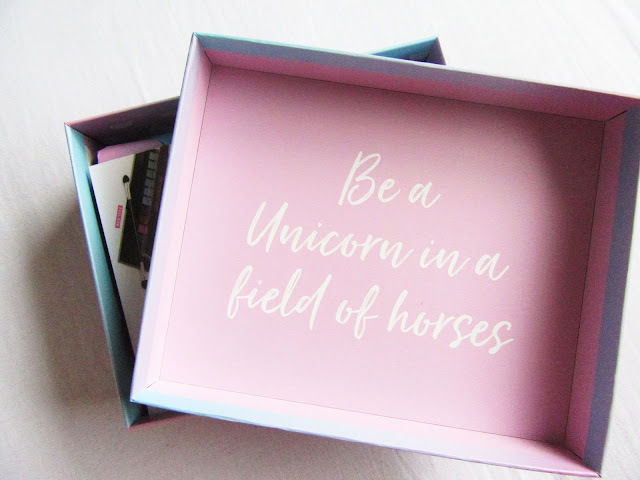 I love the attention to detail in the Glossybox packaging, so the Unicorn box is a beautiful pink-to-blue ombre with matching tissue paper inside. 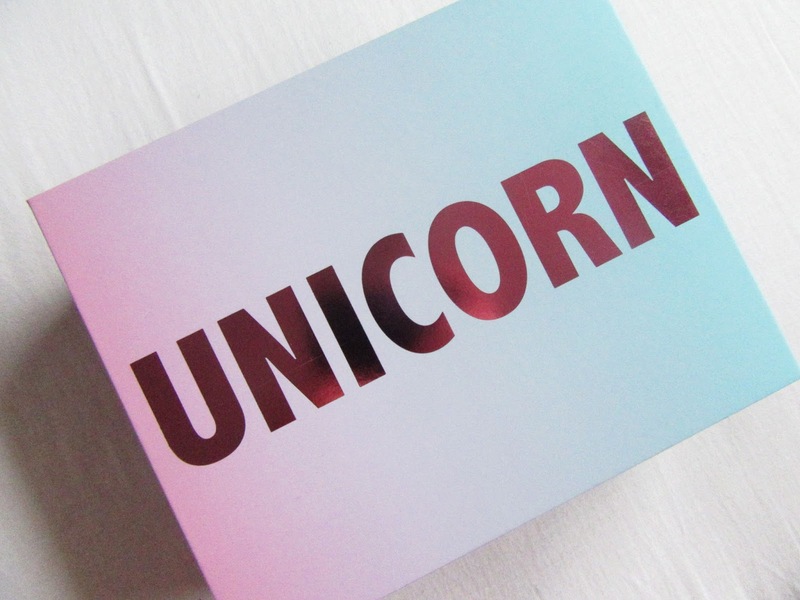 There is even a super cute 'half Unicorn' sticker to put on your phone, laptop, or anywhere really! All of the products in the box this month were full-size, which every month just amazes me. 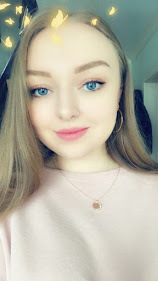 I've been subscribed to other beauty subscription boxes in the past that don't give you anywhere near as many full-size products as Glossybox do. It feels so worth the money! First out of the box was this full-size Makeup Revolution Mermaids vs Unicorns eyeshadow palette. I was really excited to see this because I've been moaning for weeks that I didn't have any eyeshadow palettes that were a little bit different... This one certainly is! I'll admit the colours are way out of my comfort zone, but with Halloween approaching, I feel like I could have a lot of fun with this palette. Makeup Revolution are a brand I had tried before, but I had never tried out their eyeshadows. 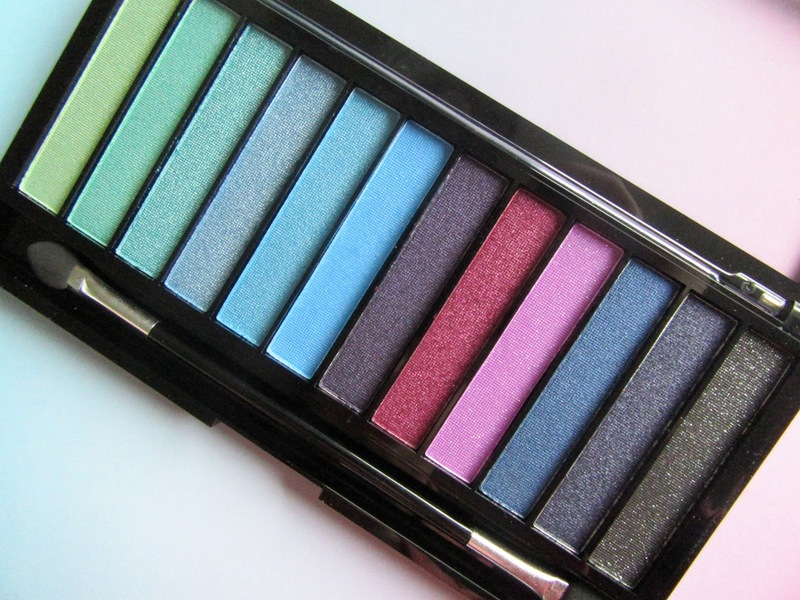 This palette is made up mainly of shimmer/glitter shades with a few matte colours thrown in. I found that after swatching (please excuse my awful swatching skills), there is a decent amount of pigmentation but some shades do need building up to be as opaque as the others. With the shimmer shades and the light blue shade in particular, there was quite a lot of fallout, but I kind of expected this. I find a lot of shimmery eyeshadow shades are prone to fallout, despite which palette they belong to. Overall, I'm not upset with this palette and I definitely will have fun trying it out! It does come with a double-ended sponge applicator, but I do find these to be totally useless, so that went straight in the bin. 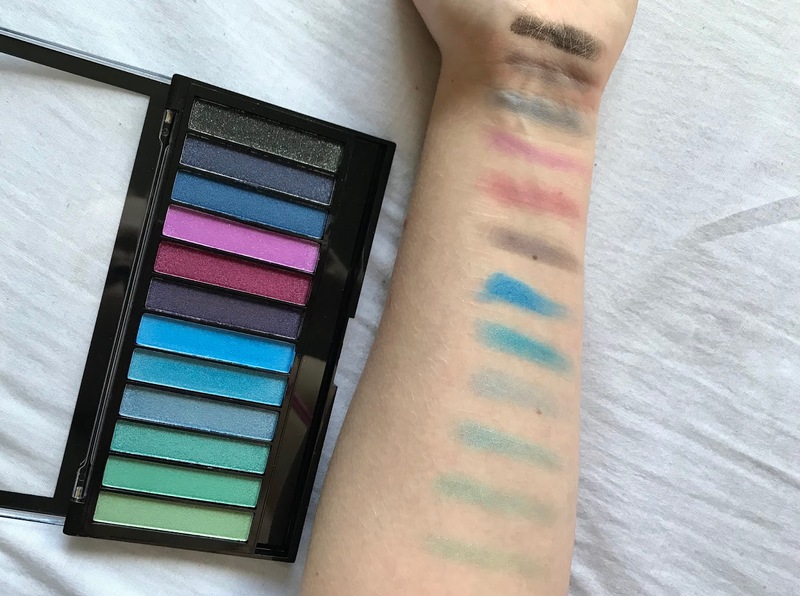 This palette retails at literally just £4.00 for twelve shadows, which you absolutely cannot grumble at one bit! Next was a product from another brand I was already familiar with - Sleep MakeUP. 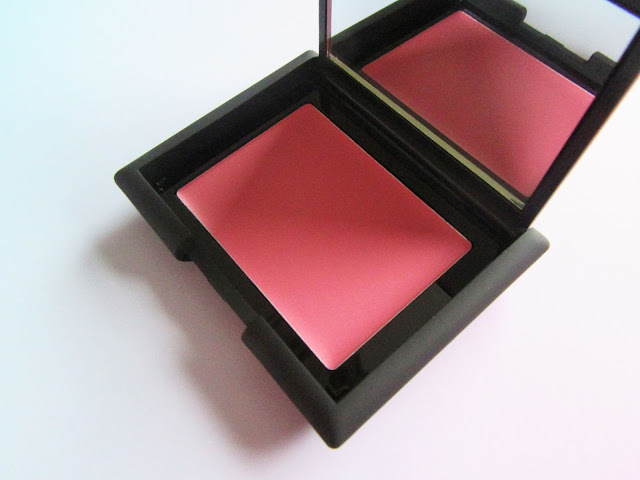 This creme-to-powder blush in the shade 077 - Carnation is a beautiful, bright pink colour. 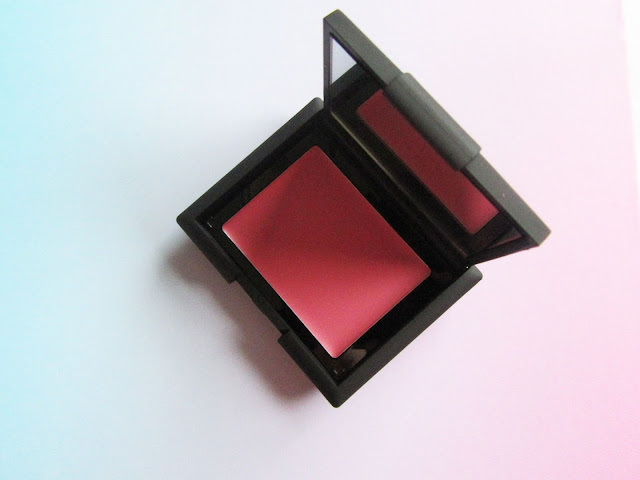 I'll be honest, I'm not really a blush kinda gal, but it's something I am willing to try out for sure. On first impression it's pretty pigmented and quite glowy too, so I feel like less is more with this product. 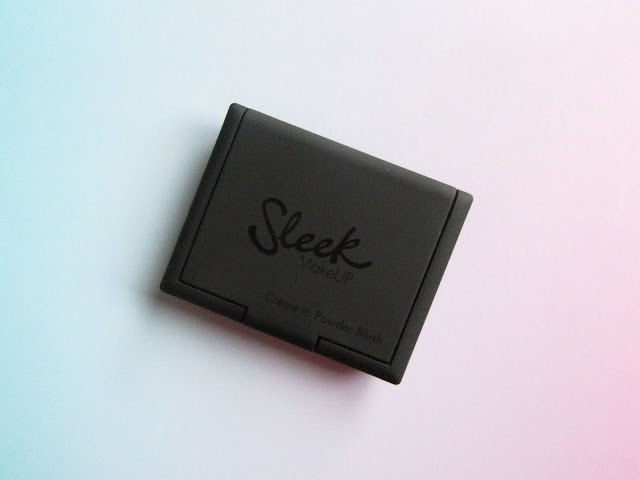 The RRP is £5.99 for this blush which I think is super reasonable and affordable, especially as I can see this lasting a really long time. The third product in the box was this brush cleansing egg from Kawaii Enterprise. I'd never heard of this brand before but I've definitely had one of these brush cleaning eggs in the past! I was only thinking lately how I'd misplaced mine and desperately needed a new one, so I was very happy to see this included in my Glossybox. The RRP for this particular egg is £7.99, but I know that the one I had previously was from Primark and was definitely no more than £1.50. 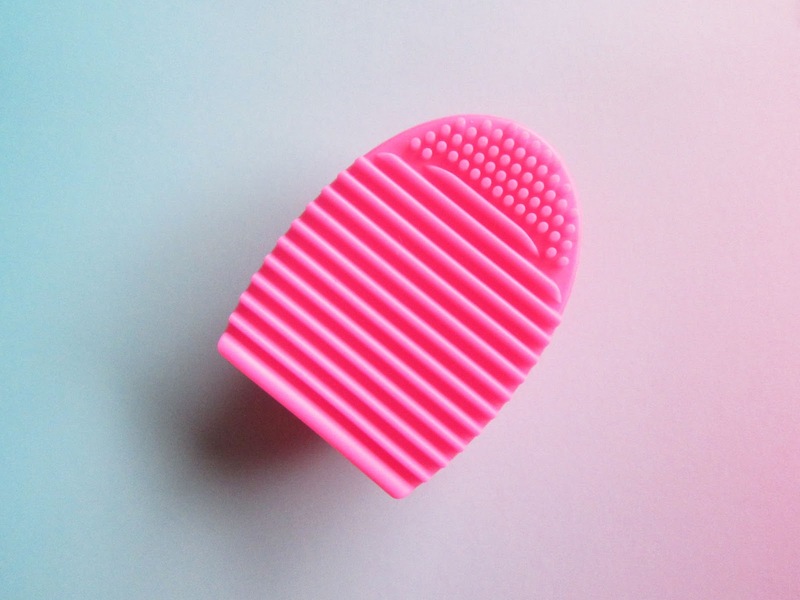 I'd highly recommend one of these little gadgets though, as they make cleaning your brushes a lot quicker and faster! 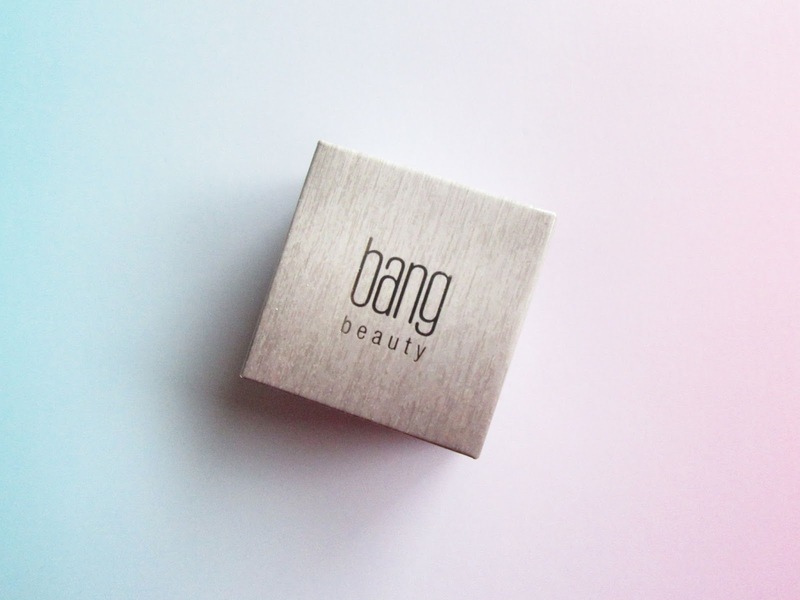 Product number four was this absolutely gorgeous multi-purpose cream colour from Bang Beauty. I am obsessed with this, literally from just swatching it on the back of my hand. 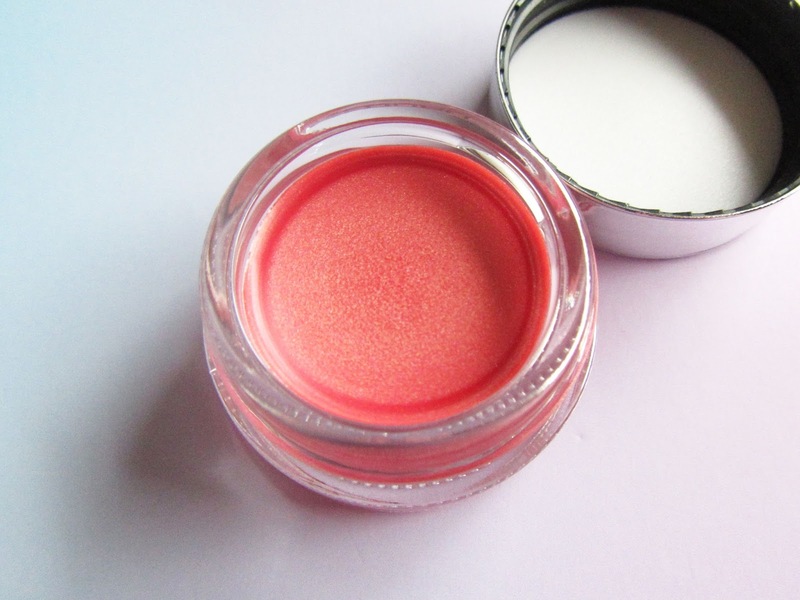 The shade is called Dolce Pink and it is the most beautiful pink colour with rose-gold tones. 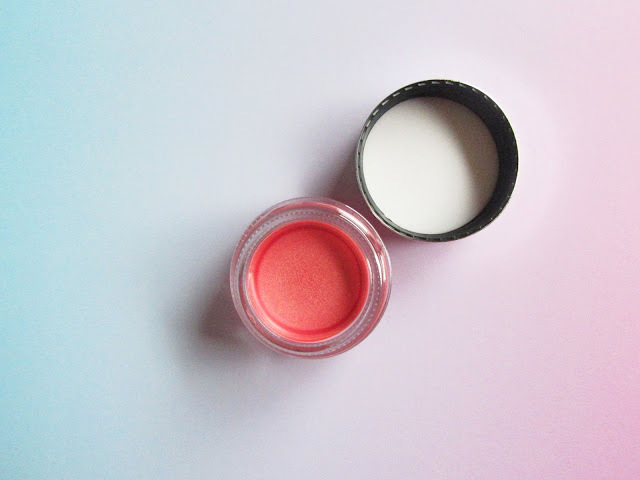 The beauty of this product is that it can basically be used for anything - lips, eyeshadow, blush and even a subtle highlight. I can see myself wearing this probably DAILY, because anything rose-gold is right up my alley. I'd never tried Bang Beauty before but I'd definitely be inclined to have a look at what other products they offer! This retails at £19.50 which is pretty steep for a tiny little pot, but I feel like it's one of those items you could justify the price for since it is so versatile and great quality. 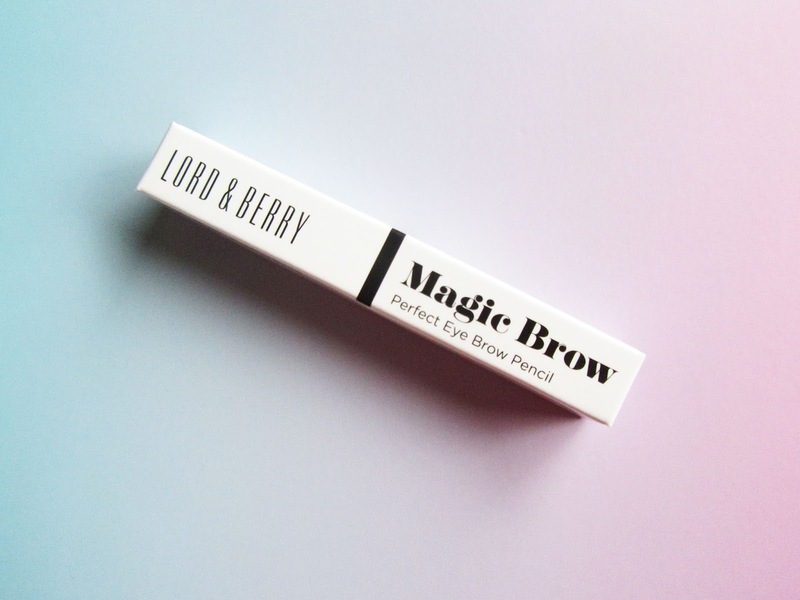 Last but not least was this 'Magic Brow' eyebrow pencil from Lord & Berry. Now, I do always feel like it's risky to include shade-specific products in a subscription box, like foundation, concealer or brow pencils, since not everyone is the same shade. The pencil I received was in the colour brunette, so I knew straight away this just wasn't for me. It's way too dark for me unfortunately! It's just a standard pencil; I would say it was extremely small considering it is supposed to be a full-size product. I'm generally not a massive fan of eyebrow pencils anyway as I feel they don't fill in my sparse areas as well as a powder or pomade does. The RRP for this pencil is £14.00 which I do feel is very expensive for the size of it. Overall, I am blown away by this Glossybox! 99% of the products in here I know I will be using regularly, and I just can't wait to try out some funky Halloween looks with the Mermaids vs Unicorns eyeshadow palette! Keep an eye on my social media for my experiments! Are you signed up to Glossybox? 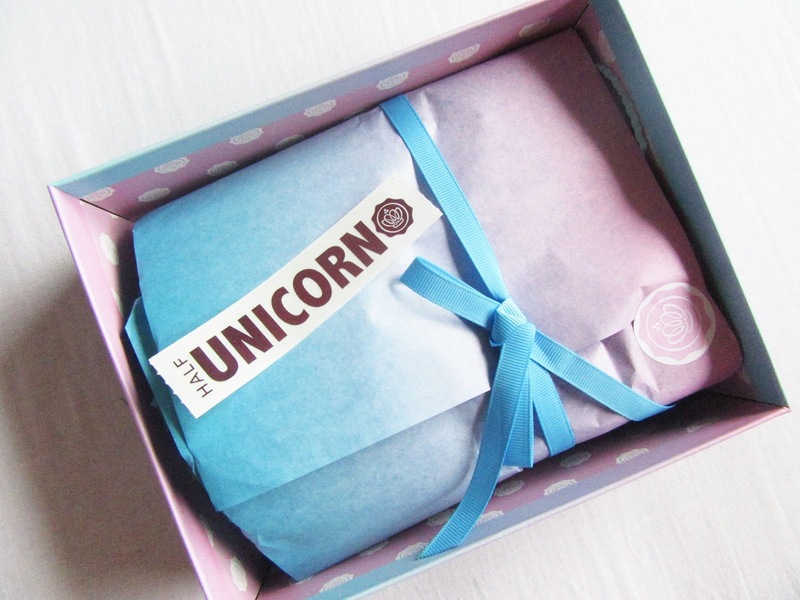 Did you receive a Unicorn or Mermaid box? 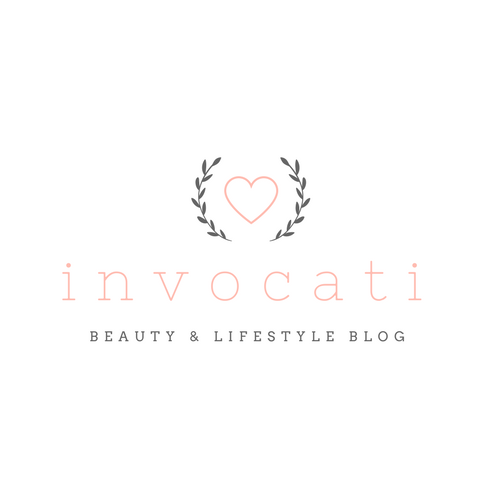 Which products were your fav? P.S: Fancy joining Glossybox yourself? Use my link here to sign up and get your first box for only £7 (plus P&P) and I get a few Glossydot points in return. It's win-win! Boxes are £9 per month (plus P&P) full price!